As your chosen Manchester Personal Trainers we are here to ensure you achieve the results you want. We do this via effective fitness training and lifestyle coaching at our private gym in Manchester city centre. As a team of 3 we have over 30 years of experience in the industry. We are here to guide, educate and inspire you into becoming the greatest version of yourself. Everyones goals and bodies are unique. We work around our clients lifestyles, goals and bodies with highly bespoke personal training programs. 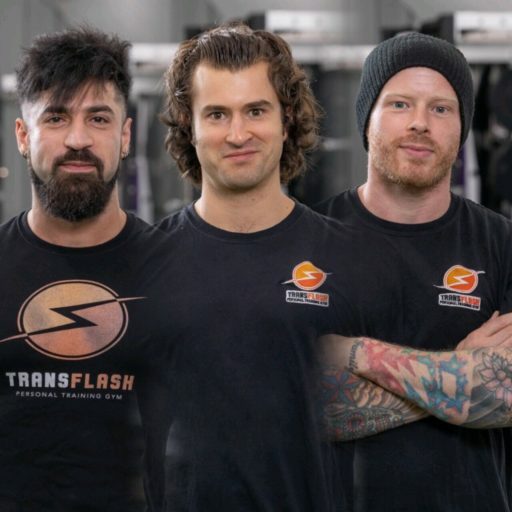 If you want to see continuous and never ending progress in a safe private environment, look no further than our manchester personal trainers at Transflash. Whether your a busy professional who needs a time efficient workout, a stay at home mum who needs a flexible trainer or a world class athlete who wants to surpass their teammates or competition, then you are in the right place. We have the skills to take you to the next level no matter who you are. If your ready to start training with Personal Trainers who really care about you achieving your goals. Personal Trainers who have the knowledge and the experience to guarantee your success, then please get in contact.